The best walks in Sydney to explore at your leisure. 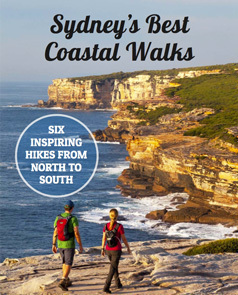 From tour operator origins, winning tourism awards for guided walks, Sydney Coast Walks now provides a range of personally recommended self-guided walks for locals and visitors wanting to explore Sydney’s outdoors. This range of self-guided walking tours combines historical, cultural and ecological interpretation with detailed track notes and easy-to-read maps. Authors Ian Wells and Tara Wells share how to get more out of the best walks in Sydney for those who love the independence and sense of discovery of self-guided walks. The Spit to Manly walk celebrates the contrast of a modern city against protected bushland, offering expansive harbour views and ancient Aboriginal sites. The Sydney Coastal Walks Map bundle pack includes: The Coast Track Map, Figure 8 Pools Map, Coogee to Bondi Map, Spit to Manly Walk Map.